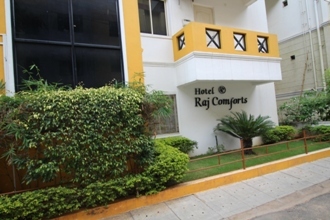 Raj Comfort, a business class hotel, provides apartments that are fully furnished, and are a perfect blend of comfort and economy, to suit the needs of the travellers. Promising warm hospitality and offering home-like comfort, this place is ideal for long sojourns. The hotel's proximity to the main shopping complexes and business centres, makes it a convenient place for a stop over.